Kaki, or persimmons, are in full season right now. The orange glossy skin is such a cheerful sight in the markets – it is one of the fruits that are still purely seasonal. You can only find it around in the months of September – December, and like fresh figs – you can enjoy them but for a fleeting moment. There are two kinds of persimmons – astringent and non-astringent. 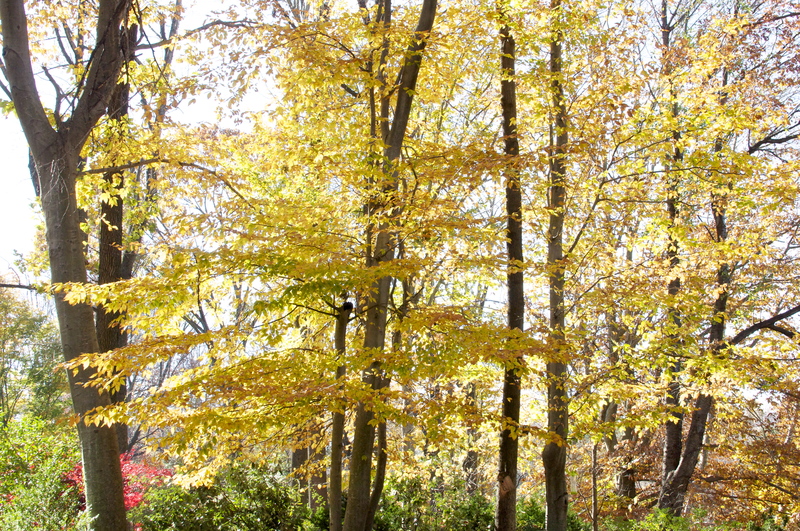 The astringent Hachiya persimmons which are tall and acorn shaped are chalky and bitter until completely ripened. 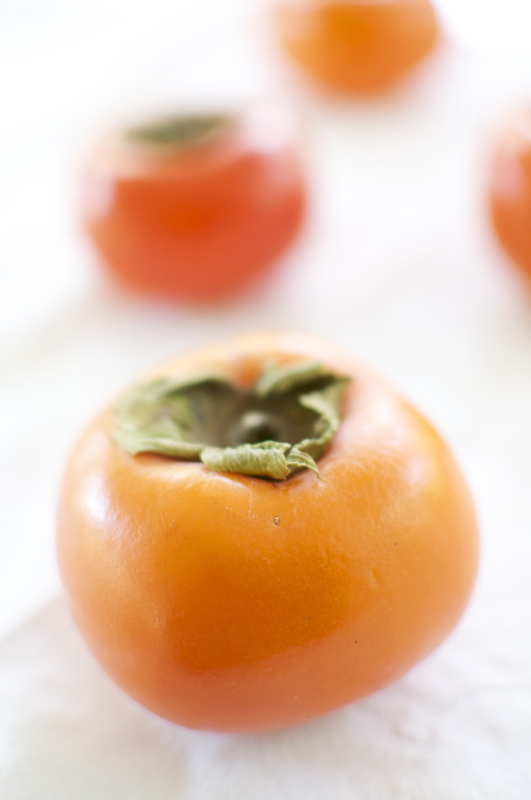 The non-astringent Fuyu persimmons are shaped like a tomato and are almost always sweet, even when not completely ripe. I prefer the Fuyu kaki when eaten fresh or cooked, and Hachiya kaki when sun dried like tomatoes – the flavors intensify and become chewy and sweet. The texture of the Fuyu kaki is akin to mangos and the flavor is also similar. Both of these kinds of persimmons hail from East Asia, and in Japan, they grow abundantly in the countryside and in gardens in urban areas, dotting the autumn landscape with their bright orange patina. It makes me happy to encounter kakis in stores in the fall, especially seeing them outside of Japan and now almost everywhere in Washington DC, Maryland and its surroundings – its arrival always an unannounced surprise, its flavors bringing back memories of sunny chilly afternoons full of laughter with my mother and aunts in Kyoto, sipping hot Genmaicha tea, huddled together by a table in the kitchen with our feet covered inside of a kotatsu heater adorned with a quilted cover, my aunt sharing her opinionated wisdom on life and expertly peeling the waxy skin away from a Fuyu kaki in one long, winding and seemingly unending strip, then cutting it into thick crescent wedges and poking small silver forks for us to grab. The texture is at once slippery and crunchy, almost gliding away from your tongue and teeth as it floats around in your mouth. For me, seeing and tasting kaki is one of those true Proustian moments. 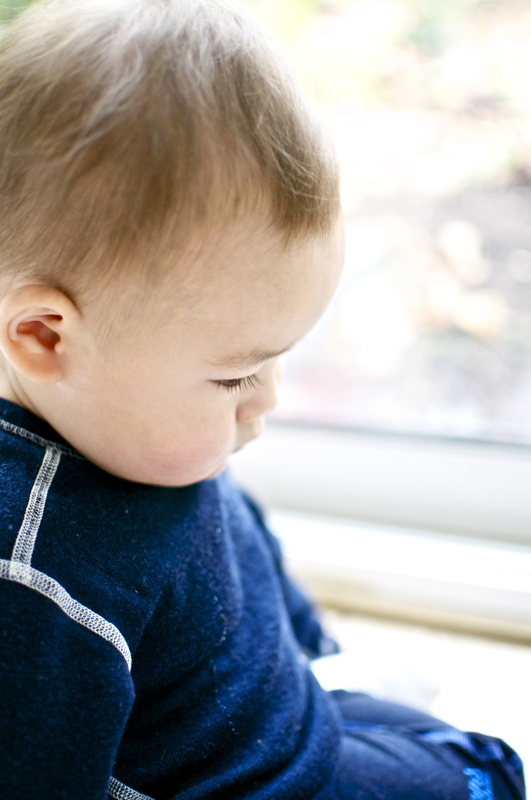 With one bite triggering forgotten memories, unearthing obscured experiences so pertinent to who you are and where you come from. 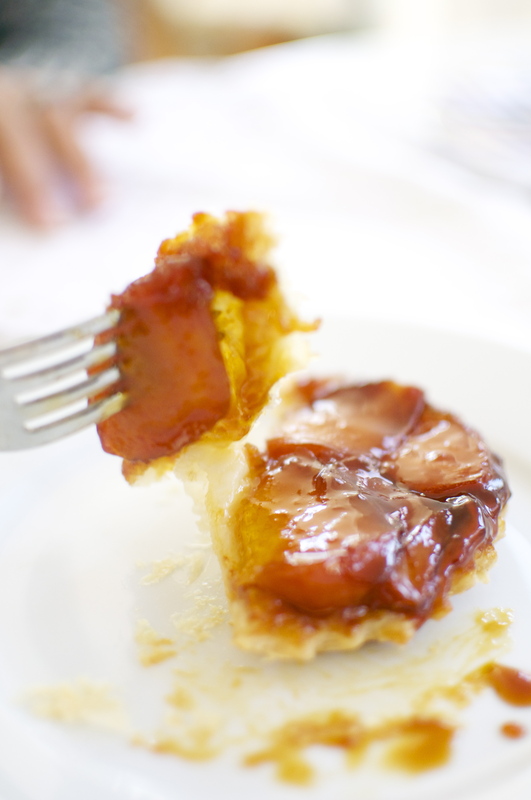 This simple upside down tart is, I have to say, a beautiful twist for a Thanksgiving dessert – using kaki rather than apples, producing a wonderfully rich, deep and surprisingly complex flavor with burnt sugar and sea salt. 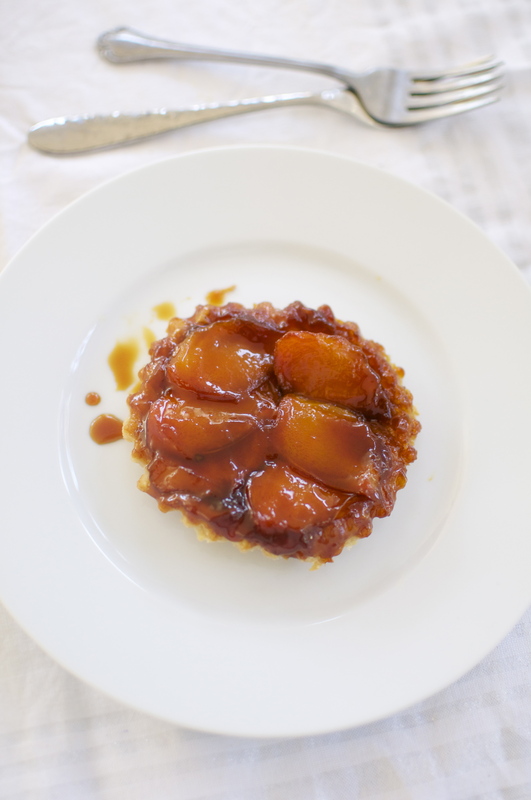 The syrupy caramel bubbles over while baking but since the pastry crust is set atop of the moisture, it remains crisp and provides a perfect contrast as opposed to the traditional tart. Best when warm and right out of the oven, it is a dessert so good you can’t help but smile with the first bite. In a pot, add the sugar and the salt. Place over medium heat and cook until it begins to thicken and turn a golden brown. 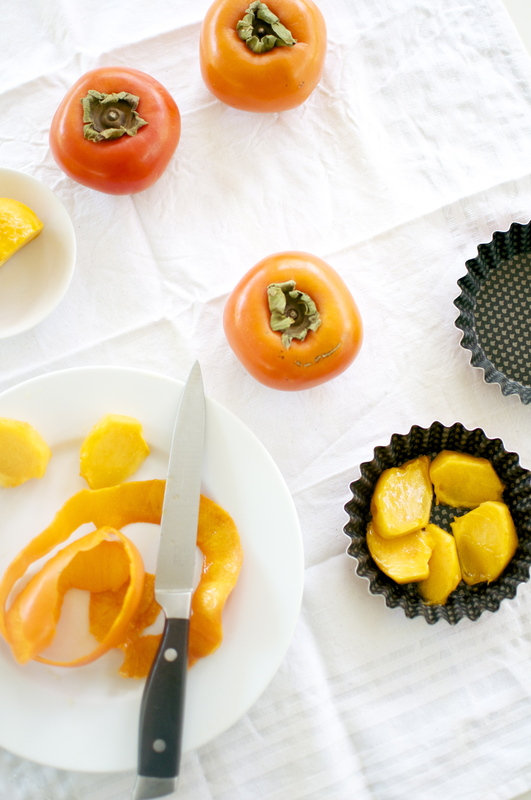 Remove from heat, and immediately pour into the tart molds dividing them equally, then arrange the slices of persimmons on top. Don’t worry if the caramel stiffens a bit and is not centered. It will cook with the fruit and even out. 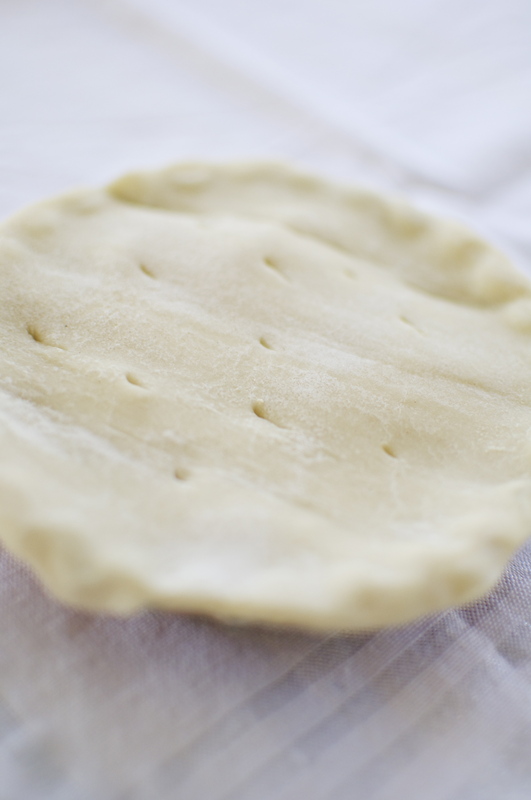 Cover the tart dishes with the puff pastry, cutting the edges with a knife so that it fits the edges. It is best to not overhang the pastry over the edges but cut it just at the edge so that it shrinks to float in the middle of the mould. Too much pastry around makes for a less attractive result. 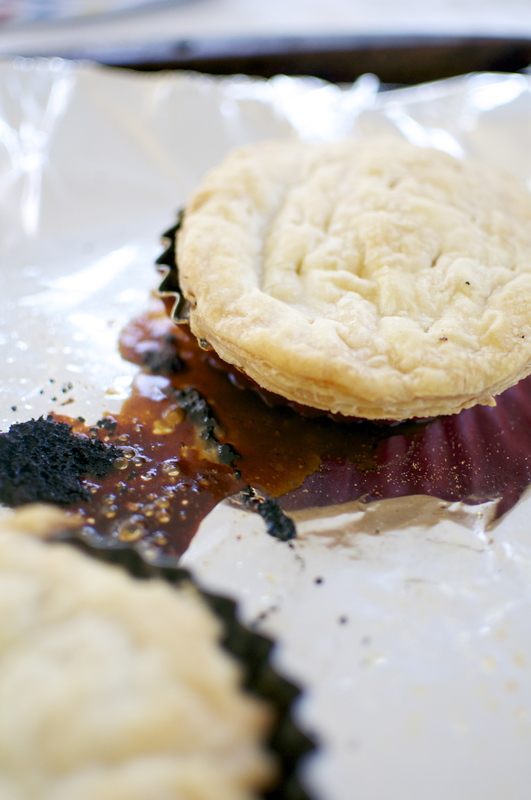 Poke a few holes with a knife in the pastry to vent out the steam. Bake 45-50 minutes. Remove from oven, and let stand for 10 minutes. 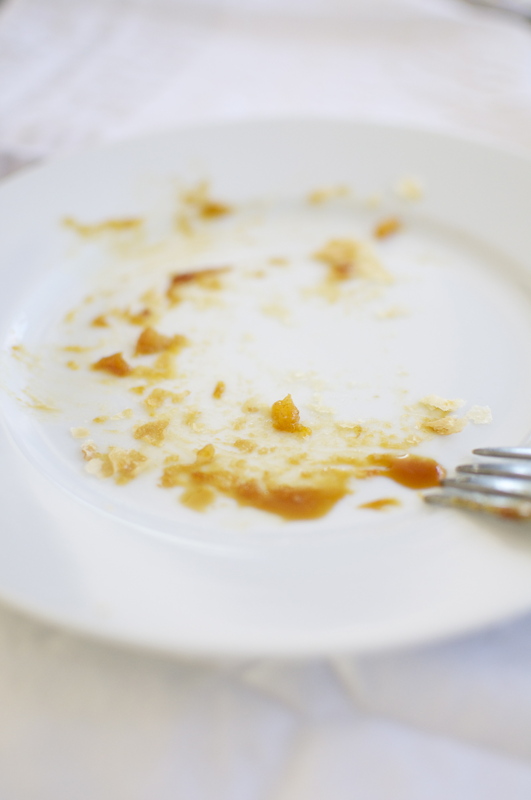 With a knife, loosen the pastry from the edge of the tart dish. Place a serving platter over the tart dish, and carefully invert. Serve warm.